Hibernian came unstuck against Molde as young sensation Erling Braut Haaland sent Neil Lennon's side crashing out of the Europa League with a 3-0 defeat on the night and on aggregate. The son of former Leeds player Alf-Inge Haaland missed the goalless first leg in the third qualifying round to hold talks with Salzburg, but the 18-year-old returned with a vengeance to score twice and set up another. Haaland headed home from close range in the 35th minute after Efe Ambrose had been caught underneath a deep free-kick. He then set up Fredrik Aursnes to score in the 66th minute and completed the 3-0 aggregate win with another close-range finish with eight minutes left after Jamie Maclaren had been denied by a post for the visitors. 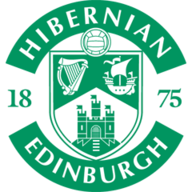 Hibs were ultimately outclassed by Ole Gunnar Solksjaer's slick team, who looked a completely different side from the one which toiled in Edinburgh seven days previously. 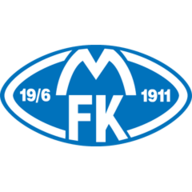 Molde will take their place in the play-off round, while Lennon's team will turn their attention to domestic matters, starting with the visit of Ross County on Sunday.